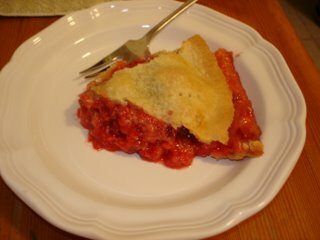 My first raspberry pie of the season! 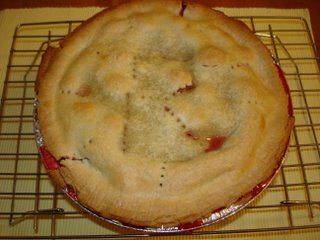 It was so hot late last night when I baked it, but nothing would keep me from making it! My hubby said it was the best pie he has ever had. 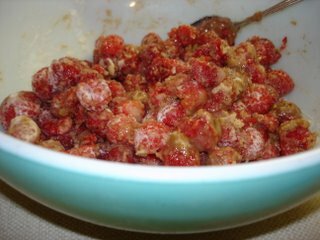 I used half the sugar regularly called for, so it was quite tart. In the end, I think that was part of the appeal. 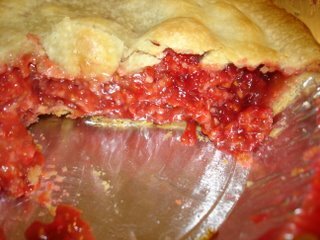 We ate half the pie late last night... goes against our usual no food after 8:00 p.m. rule, but honestly for fresh baked raspberry pie you must make exceptions. Of course!!! 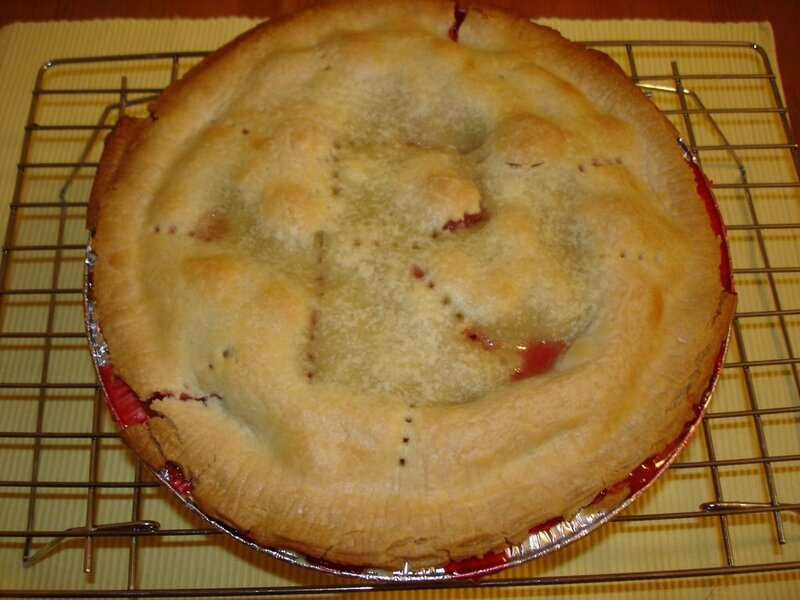 But it was steaming in our house afterwards... small price to pay for our first pie of the season! LOL! looks great. love the step-by-step photos. omg...that looks amazing. I love that you opted for tart and used half the sugar...that's exactly how I would want it too. Tart pies are great. It looks sooooooooooo good. But i'm such a baby, i'd have to use some kind of non-dairy whipped topping or vanilla soy or rice frozen dessert. YUMMY either way! all rules are off when it comes to pie, especially fresh raspberry. beautiful.